Want to be a better knitter? 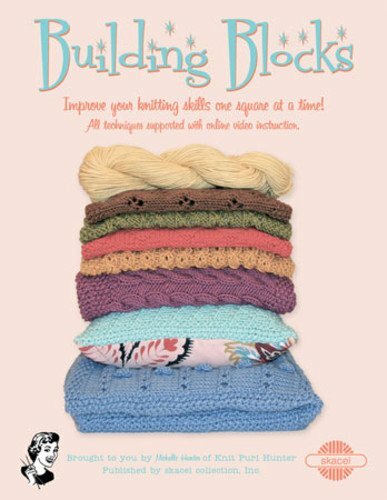 Building Blocks is a knitting series designed to grow our skills. A 14-month block of the month program, each month will build on the last. The first month is a preparation month: work on your gauge and yarn selection. Months 2 through 13, you will work on a square each month...isolating a new skill. Month 14 is for putting it all together. Each month's technique is supported by on-line video tutorials to help you until your next class. Improve your knitting skills one square at a time!